Last week came the news that Harriet Tubman will appear on the $20 bill, becoming the first African-American (and first female in more than a century) to be featured on a U.S. bank note. Tubman is also being honored with a National Historical Park in New York, and a State Park in Maryland. We are thrilled at these milestones and grateful to have played our own role in the Tubman story. 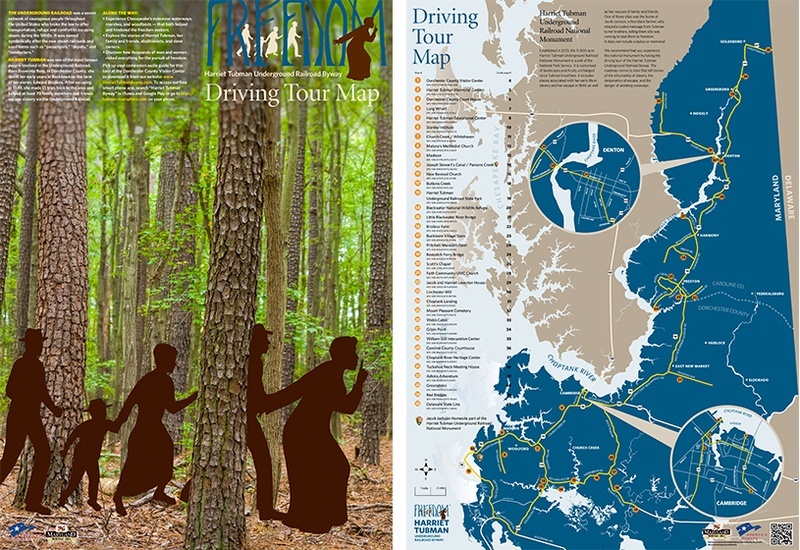 In 2009 C&G Partners created the interpretive master plan for The Harriet Tubman Underground Railroad Byway on Maryland's Eastern Shore, where Tubman grew up and later became a leader of the Underground Railroad. The project for Dorchester County Tourism and Caroline County Tourism offices, with grants from the Maryland Heritage Area Authority and National Park Service Chesapeake Bay Gateways Network, included the master plan, the Byway's brand identity, a map guidebook, and a website. The master plan laid out the need for trail markers, signage, immersive experiences, and a dedicated interpretive FM radio channel for drivers along the Byway. The Byway was subsequently named one of only 31 "All-American Roads" nationwide.